Dr Mike Turner is a sponsorship manager employed by large corporations and as an independent consultant. 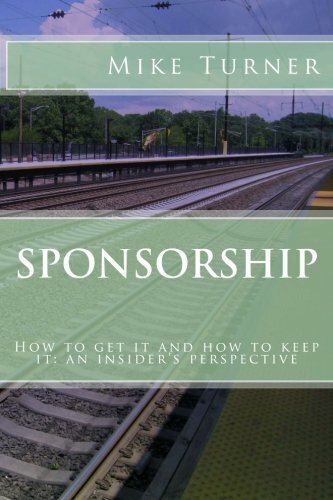 In his book he offers insights into the company operations and policies that drive sponsorship decisions, explains the mindset of the individuals who control sponsorship, and teaches you how to access the right person in the most effective way. He will show you how to extract the best value from your organisation, prepare your proposal, make your pitch and secure and keep your sponsorship. A veteran of the sponsorship industry, Dr Turner is a Director of OBC Australia., a business consultancy specialising in management and marketing strategies. He is also a lecturer in Marketing and Entrepreneurship at Federation University Australia and at La Trobe University’s Business School in Melbourne, Australia. Sponsorship. So many want it. So many need it. So few have any real notion of how to get it and fewr still do not understand how to keep it. 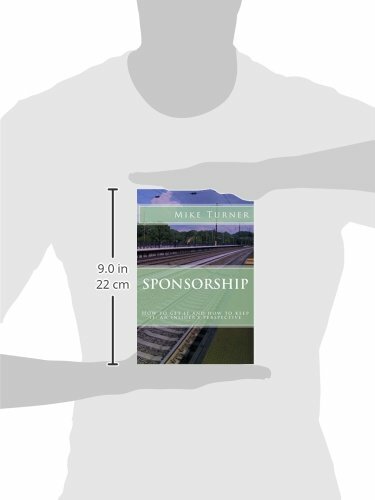 As a sponsorship manager employed by large corporations and as an independent consultant, Mike Turner has seen it all. Some came fully equipped and he sent them away smiling; others brought beautifully presented proposals with nothing of value to say and left empty-handed. There were the poorly prepared proposals with potential but nothing to support them; the supremely confident club representatives who thumped the table and demanded the world; the meek representatives who scuttled away at the first challenge. There were probably legions of people of whom Mike was not even aware, because they didn't make it past the outer reaches of the company. Few seemed to understand the system or how it operates, and without that understanding their chances of successfully connecting with it were significantly reduced. Mike's response was to write this book-a guide book to take you, the outsider, in and help you to negotiate the Corridors of the labyrinth. In this book Mike gives insights into the company operations and policies that drive sponsorship decisions, explains the mindset of the individuals who control sponsorship, and teaches you how to access the right person in the most effective way. He will show you how to extract the best value from your organisation, prepare your proposal, make your pitch and secure and keep your sponsorship.